RTS is selling MEE and buying ERTS on Monday at the open. I'm Selling BIDU and buying ERTS on Monday, not sure when, I'll post on FB. 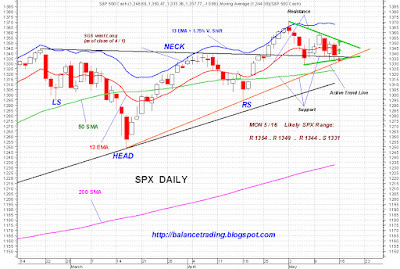 Despite major indices selling off around 1% today (Friday), the broader market held up very well. 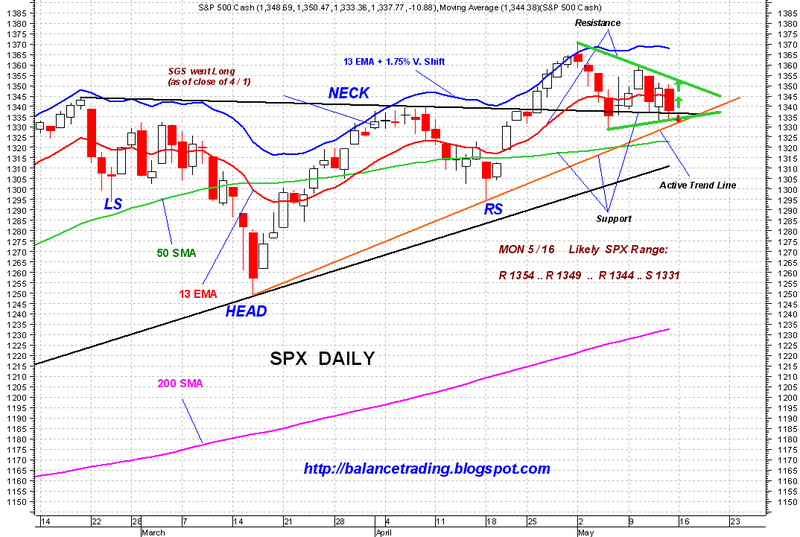 SPX closed above the active neck line (SPX 1336), still validating the recent inverse head and shoulder price formation. SPX has also formed a falling wedge (thick green) which is a bullish price pattern and signals a break out to test the recent high (SPX 1370) probably by late next week.